It is not easy to penetrate the sites where the most beautiful emeralds on the planet are extracted. Following difficult negotiations with Columbian politicians, our buyers are able to approach the mines. They use helicopters to avoid the looters who wait along the roads. The most prized stones are undoubtedly those that come from the Muzo mine. They are magnificent green colour, made of approximately 48% blue and 52% yellow : a deep, velvety, dark green. There are often many impurities. Yes, these are defects that alter the beauty of the stone, but they are tolerated as large, completely pure specimens are virtually non-existent. Moreover, it is to reduce the effect of nature’s impurities, or rather imperfections that professionals like to poetically refer to as “the emerald garden”. Nevertheless, it is still better to choose a less mossy specimen with inclusions that do not prevent light passing through or reflections. Cutting is an important factor. It is worth knowing that a rough stone with a beautiful colour may become lighter if the lapidary, by cutting it too thinly or not respecting the direction of the optical axis, cannot conserve the original colour of the crystal. In this respect, it is worth mentioning that no angle or proportion is necessary (unlike with diamonds) and lapidaries are free to give a sparkle to the substance they have in their hands. The table of a badly cut stone may have a glassy “void” despite a dazzling rim. 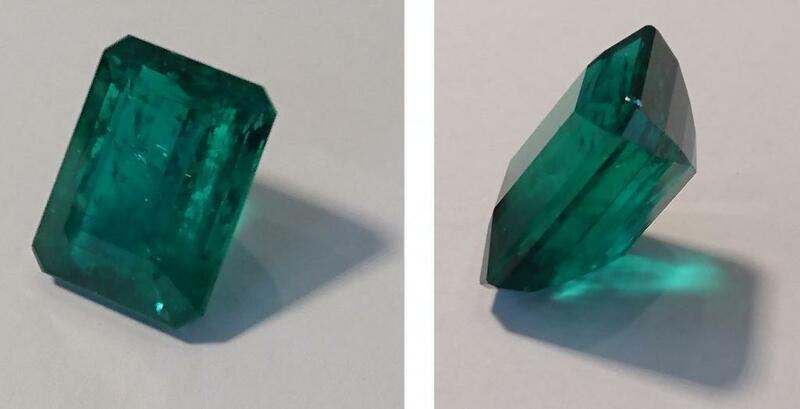 Emeralds can be cut in any shape, but their hexagonal crystallisation system is adapted to the square or rectangular “ emerald cut ”, with bevelled angles. Moreover, weight does not have a great influence on the price of the gem, as is the case with diamonds. The surface of the pavilion is more important. The density of the emerald is significantly lower than that of the other three stones. 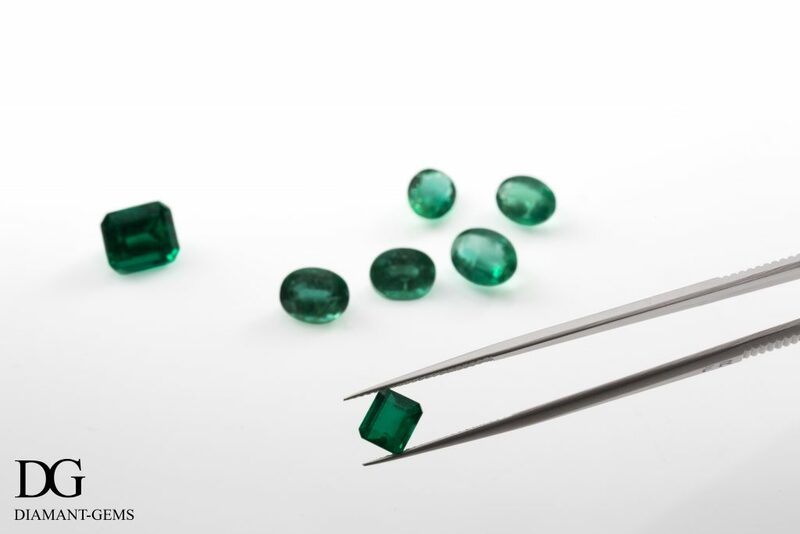 This means that a 2-carat emerald will have a surface 50% larger than a sapphire of the same weight, cut in the same proportions. To be sure you are making a good investment when buying an emerald, you need to choose one that is a lovely green colour with a velvety sheen, has no internal cracks or inclusions (emeralds with external cracks are to be avoided), is well-cut and weighs between 3 and 7 carats. The bezel should not have any small breakages. 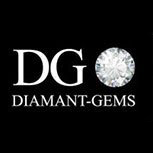 Contact us for a presentation of stones in our offices in Paris or Antwerp, where you will benefit from wholesale prices.